Our September winner is Tera. 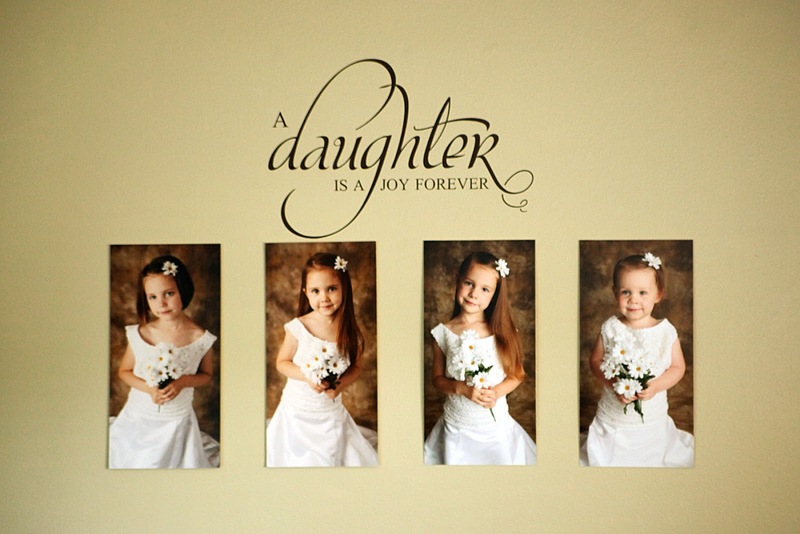 She chose one of our Girls' Room Quotes (#45) to go with pictures of her beautiful daughters. Each girl took a photo in their mom's wedding dress. What a cute idea! Thank you so much for sharing with us Tera and congratulations!